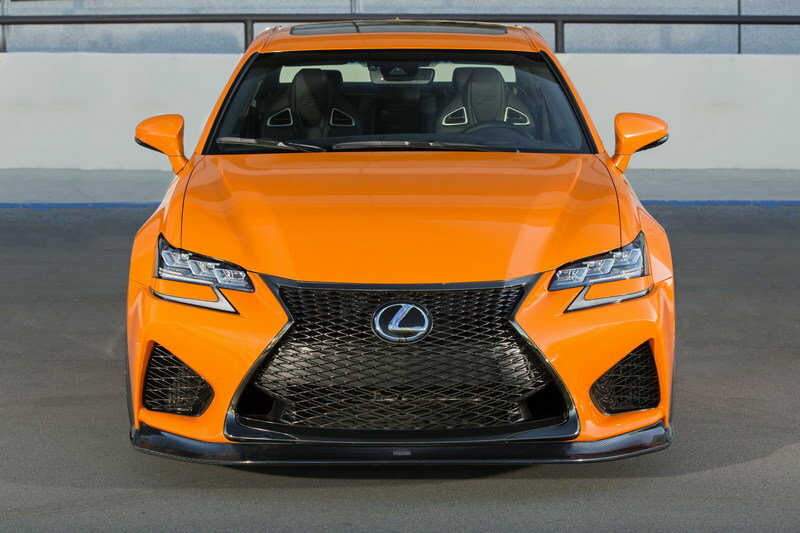 The Lexus GS F sedan may not have the visceral look of its coupe cousin, the RC F Coupe, but the former can still attract an audience wherever it goes — especially if it’s rocking a bright orange wrap that’s impossible to ignore. Such is the scene at the SEMA Auto Show where Lexus, in collaboration with aftermarket shop Gordon Ting/Beyond Marketing, is showcasing a fully customized GS F Sedan. The revamped GS F is a real looker, and it’s not just because of the blindingly bright orange wrap. It also has quite the list of aftermarket modifications, most of which were installed to improve the sedan’s performance and handling capabilities. 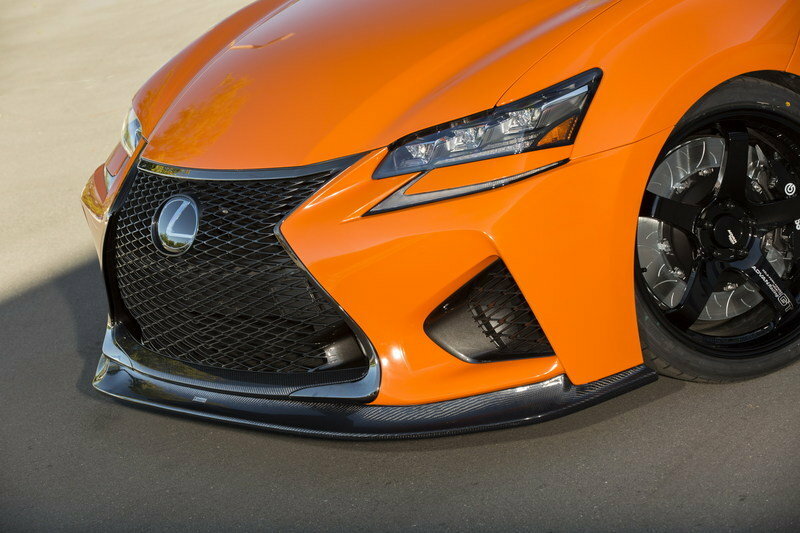 There’s an aero kit in there too that gives the GS F an aggressive look and, in case it hasn’t been established enough, the bright orange wrap really does wonders in enhancing the sedan’s already overflowing charisma. The GS F sedan is one of two models that Lexus and Gordon Ting/Beyond Marketing are presenting at SEMA. The other one is the RC F Coupe and, not surprisingly, it also has a similar orange wrap. These two Lexus models may not win any “best-in” awards, but they’ve certainly made their mark at SEMA. Continue reading to learn more about the Lexus GS F By Gordon Ting/Beyond Marketing. Let’s get the obvious out of the way. The Gloss Burnt Orange wrap on the GS F comes by way of 3M. 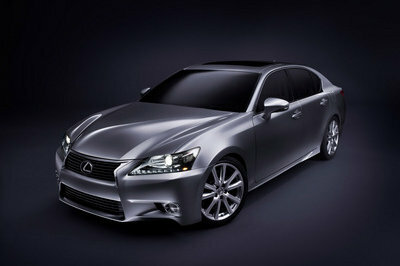 It’s an eye-catching look that fits into Lexus’ color presences for its past performance models. 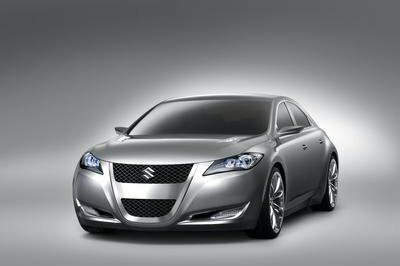 Apart from its attention-grabbing body color, the GS F also received a carbon-fiber, lower-body aero kit from Sumeru that’s made up of a front chin spoiler and side skirts. Finally, the Gordon Ting/Beyond Marketing-tuned GS F now rides on a set of Advan Racing GT premium Gloss Black wheels wrapped in Falken Azenis FK453 tires. 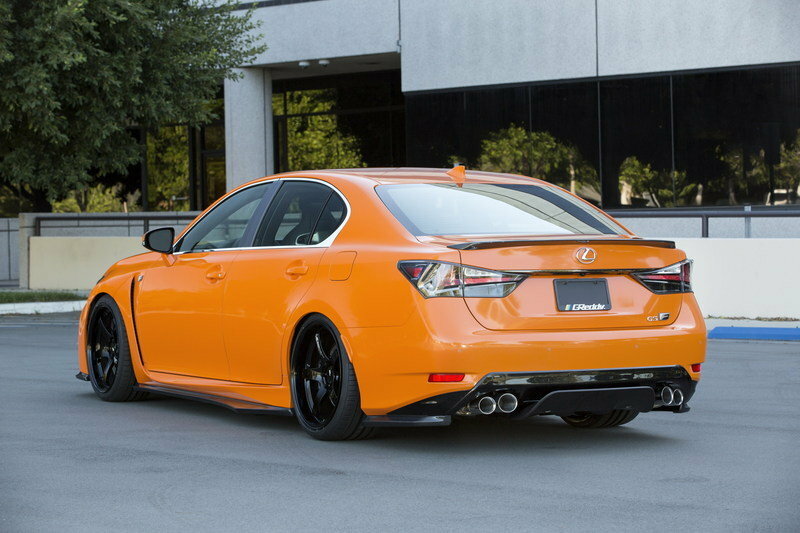 Take out the bright orange wrap and you’re left with what really is a subtle yet effective modification program for the body of the GS F sedan. Sadly, there are no interior upgrades of note in the GS F Sedan. While it is a little disappointing, we can all take comfort knowing that the GS F’s standard cabin is a feast to the senses on its own. 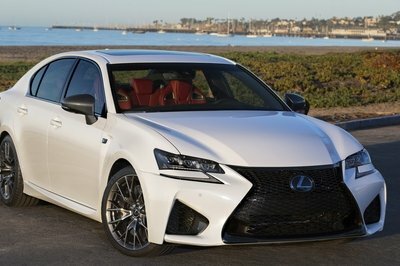 Lexus had a tricky job of trying to balance the sporty and luxurious sides of the GS F and giving each equal billing in the interior. But, for the most part, the Lexus achieved that goal, albeit with few hitches here and there. FYI, I still don’t see the purpose of the Active Sound Control on the cabin of the GS F. I don’t understand why it was so important to have synthesized engine noises on the car when natural has always been the only way to go. You would think that a car that’s trying to unseat some titans in its segment would do well with some kind of engine modification. 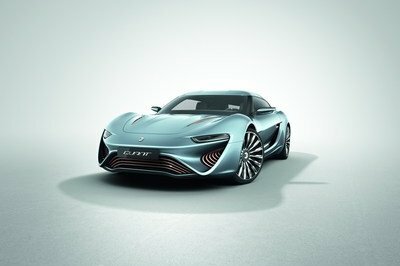 That idea definitely makes sense; just don’t expect to see it on this particular GS F. Yep, as provocative as the work on the sedan is, Gordon Ting/Beyond Marketing left the GS F’s 5.0-liter V-8 engine untouched. That means that power is still rated at 467 horsepower and 389 pound-feet of torque. 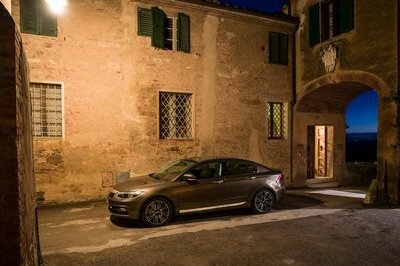 Just because the engine was left alone, however, that doesn’t mean that the tuning shop didn’t put in the work to improve the sedan’s overall performance. For instance, the car is now lowered, thanks to a Tein suspension prototype street advance damper kit. Then there’s the GReddy supreme SP dual system exhaust and the Advanced Flow Engineering Takeda retain intake system, two critical setups that help the V-8 engine function more efficiently. Last, but certainly not least, are the Brembo Performance brakes that provide world-class stopping power. Customized or not, the GS F is definitely going to need that. I’m drawn to believe that the Lexus GS F is one of the most underrated vehicles for customization. 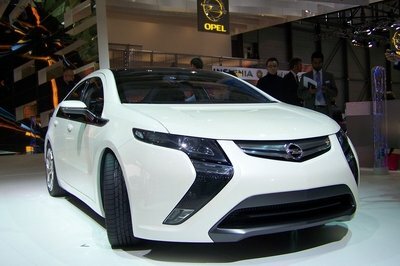 At the very least, it does provide a world of opportunities for aftermarket firms like Gordon Ting/Beyond Marketing to look at the car and see what they can do to improve its appearance and performance capabilities. I have high expectations for the sedan, and seeing it worked on like this has given me even more reason to be optimistic about what the tuning future holds for the GS F.
Featuring Daily Visual 3M Gloss Burnt Orange wrap, this GS F can’t be missed. Features a Tein suspension prototype street advance damper kit and rolls on Advan Racing GT premium Gloss Black wheels and Falken Azenis FK453 tires.